---On August 8th, the closing ceremony of "2018 Training Course on Small Hydropower Technology for Rwanda" was held in Integrated Polytechnic Regional Center (IPRC), Kigali. This training course is the 4th one accomplished in Rwanda starting from 2015, and it is the 101st one that HRC implemented. The training content includes not only practical experience on SHP development and rural electrification construction, as well as proven technology and advanced equipment, but also covers water management, dam safety, river conservancy and other related fields. 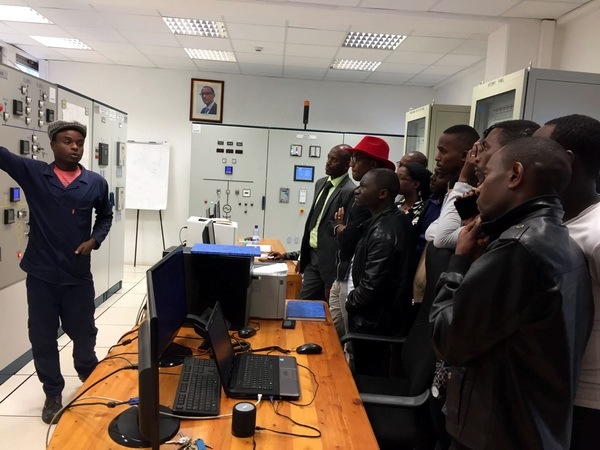 Besides, site visits were arranged to the renewable energy laboratory of University of Technology and Arts of Byumba (UTAB), and Mukungwa-I hydropower station in Musanze, the north province of Rwanda. 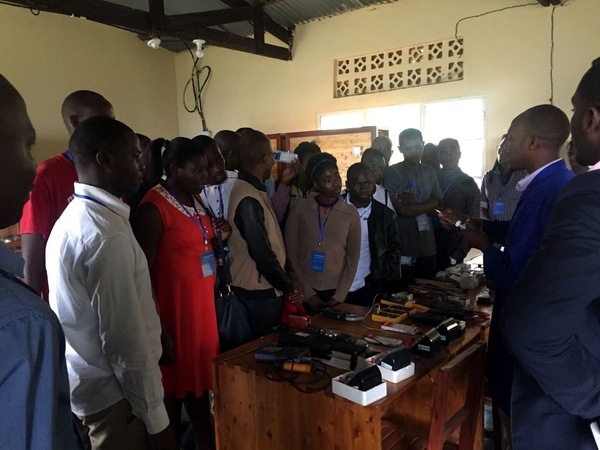 Based on the concerted efforts of HRC, Energy Development Corporation Ltd. (EDCL) of Rwanda Energy Group, all lecturers and 50 participants, this training course has achieved fruitful results. 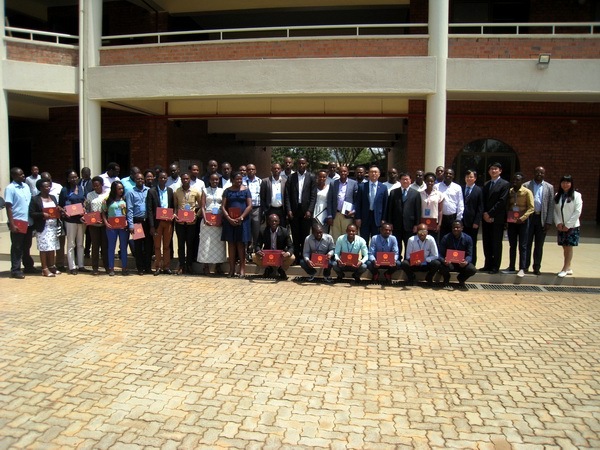 Mr. Wang Jiaxin, Economic and Commercial Counselor of the Chinese Embassy in Rwanda, Mr. Fredrick Kazungu, Director of Planning of EDCL, Mr. Diogene Murindahabi, Principle of IPRC, and Mr. Xu Jincai, Director General of HRC presented on the closing and delivered speech respectively. On behalf of all participants, Mr. Anicet Mushuti, Senior Engineer of EDCL expressed thanks.